I started this new project because of my dear friend Dr. Jack D'Angelo, who is on the board of the Staten Island Heart Society. 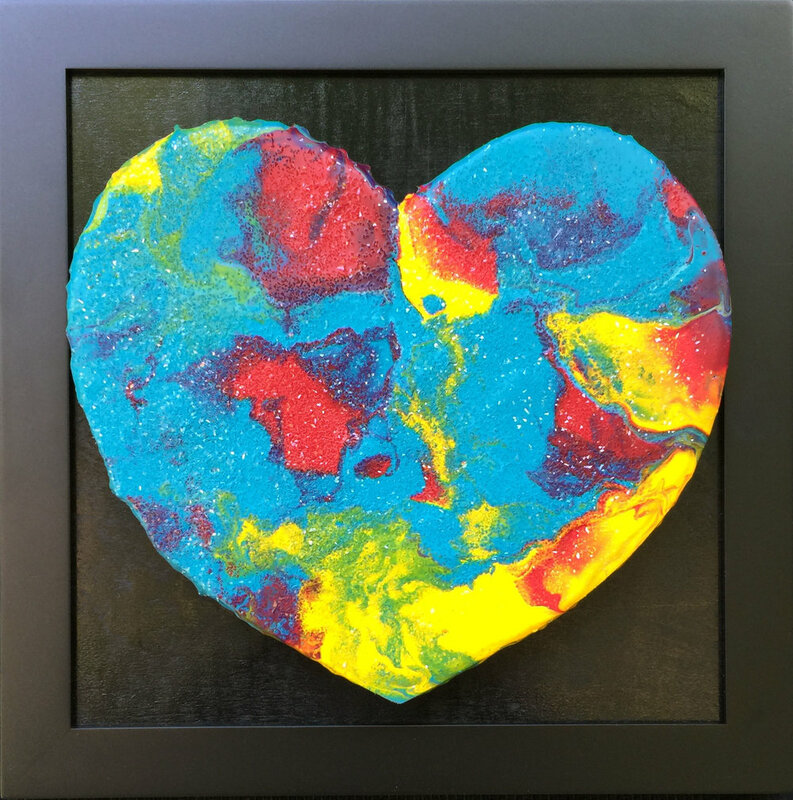 He told me about a charity event he was planning, and hoping to assist in raising awareness and funds, I donated two Encaustic Wax Hearts. They were very well received, so I decided to carry on with the project. This year I am making 50 Hearts. I will be selling these hearts at art shows and charity events and 50% of the proceeds will go to the Staten Island Heart Society. THIS IS A TAX WRITE OFF so please open your hearts and support the Staten Island Heart Society as well as the ARTS!! 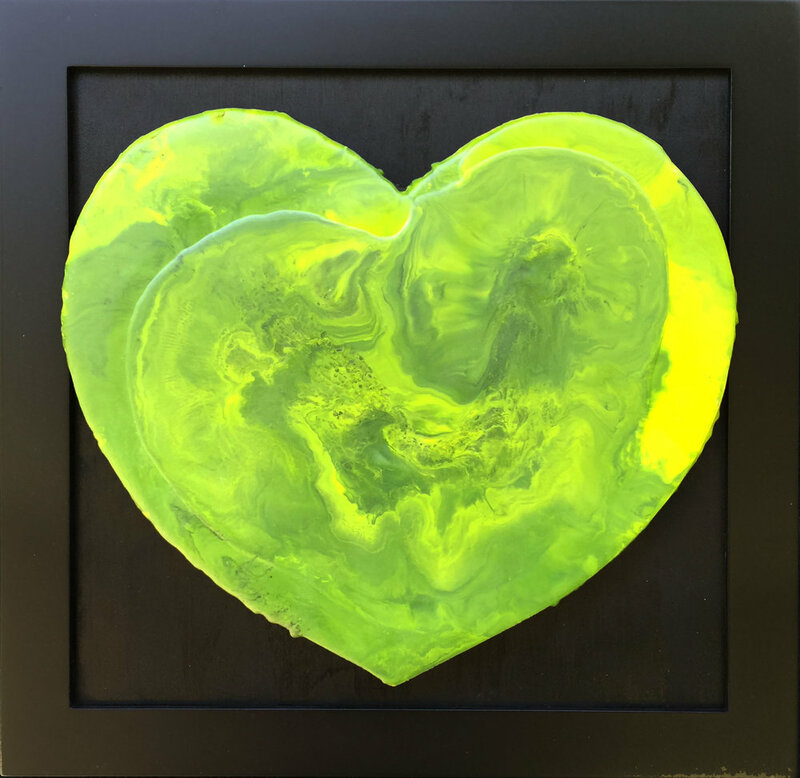 Every Encaustic Wax Heart is one of a kind, impossible to duplicate since the wax takes over the canvas. 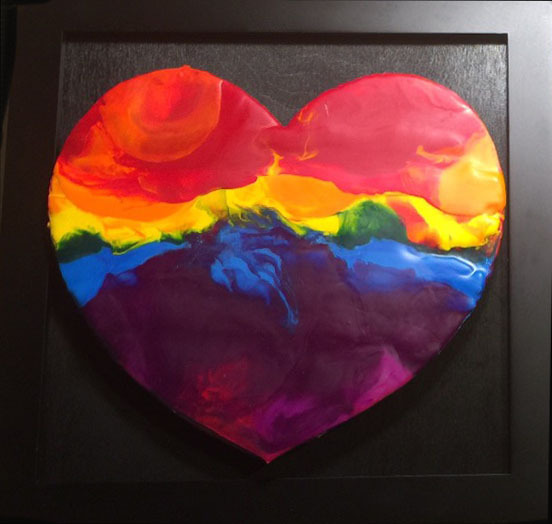 Encaustic painting, also known as hot wax painting, involves using heated beeswax to which colored pigments are added. The liquid or paste is then applied to a surface—usually prepared wood, though canvas and other materials are often used. The simplest encaustic mixture can be made from adding pigments to beeswax, but there are several other recipes that can be used—some containing other types of waxes, dammar resin, linseed oil, or other ingredients. Pure, powdered pigments can be used, though some mixtures use oil paints or other forms of pigment.